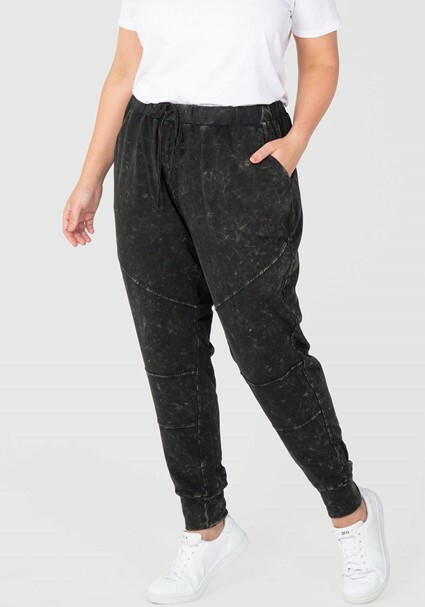 Weekends are for lounging and what better way to do it than in this super comfortable jogger pant. 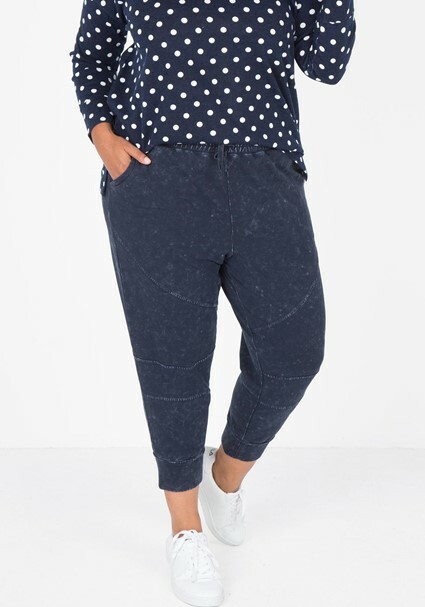 Crafted from a cotton stretch knit fabric and garment dyed gives this pant a lived in look. Side pockets and leg design lines complete the style of this pull on casual pant. 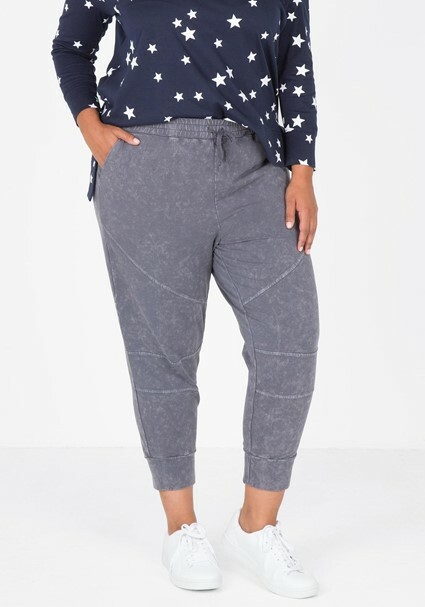 Our model is wearing a size AU 16 pant. She usually takes a standard AU 16, is 5’9.5” (176cm) tall, has a 106cm bust, 124cm hips and 86cm waist.